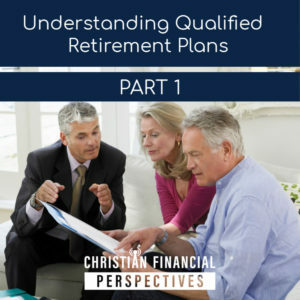 Check out Part I of our Understanding Qualified Retirement Plans series. For much of the 18th and 19th centuries, most poverty relief was provided in the almshouses and poorhouses. Eventually, the Industrial Revolution transformed the majority of working people from self-employed agricultural workers into wage earners working for large industrial concerns. By the 1960s, 70s, & 80s most larger employers provided workers a pension plan to live on in retirement. Now, employees are typically responsible for funding their own retirement years. Ideally they should be putting aside funds to help supplement social security in retirement. Today, Retirement Plans can be categorized in a number of different ways.